I first played Thumper on the PlayStation VR and it’s an intense experience. At its core it’s a rhythm game set in a futuristic hellish landscape where you must press the correct directions and buttons to keep from crashing your pod. It’s devilishly simple to learn, but can be difficult to master as the pace picks up and you soon find yourself not blinking for minutes on end, afraid to look away from the spectacle at hand. The Nintendo Switch version is coming out on May 18 and will allow you get you fix anytime you like. It will run at 720p and 60 frames per second in handheld mode and when docked you’ll get the full glory of 1080p and 60 frame per second, a necessity in a rhythm game like this one. Equally appealing is that the game will make full use of the Switch’s HD Rumble. We’re curious to see if that’s yet another level of immersion in an already visceral game. 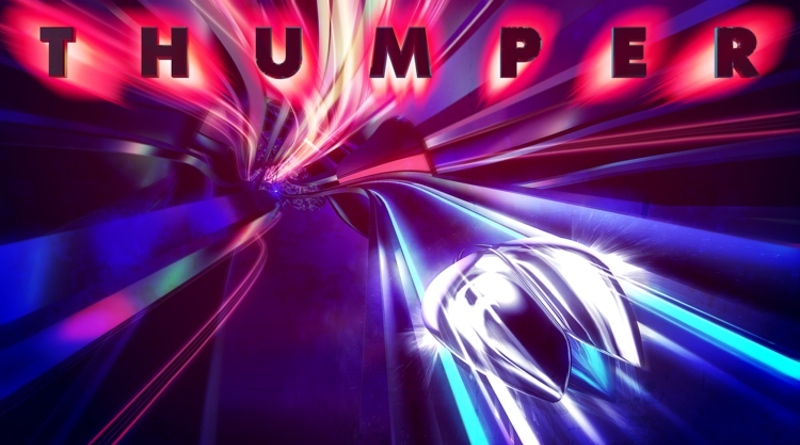 In order to progress through Thumper you’ll need to successfully navigate the tube you’re traveling on. You’ll need to press left and right at just the right moments to avoid blowing up against a wall. Pressing buttons in tandem with on-screen boosters will propel you ever further into the abyss. The game has a sinister look to its graphics, which remind me slightly of Tempest 2000 or Tron. The music sets the mood and really gets your heart beating. The game was a ton of fun in VR and I’m really excited to try it out for the Switch! It will launch on the Nintendo eShop for $19.99.